When a young Princess Elizabeth met and fell in love with the dashing Naval Lieutenant Prince Philip of Greece and Denmark, it wasn't without its problems. The romance between the sailor prince and the young princess brought a splash of colour to a nation still in the grip of post-war austerity. When they married in Westminster Abbey in November 1947, there were 3000 guests, including six kings and seven queens. Within five years, as Queen Elizabeth II, she would ascend to the throne and later be crowned in front of millions watching through the new medium of television. Throughout her record-breaking reign, she relied on the formidable partnership she had made with her consort. 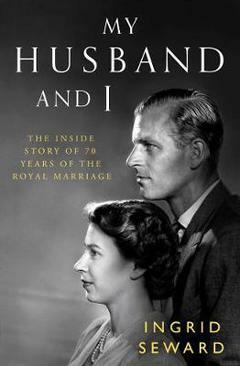 Now, after 70 years of their marriage, acclaimed royal biographer Ingrid Seward sheds new light on their relationship and its impact on their family and on the nation. In My Husband and I, we discover the challenges faced by Prince Philip as he has had to learn to play second fiddle to the Queen in all their public engagements, but we also get a revealing insight into how their relationship operates behind closed doors. As the years have gone by, there have been rumours of marital troubles, fierce debates over how to bring up their children, and they have had to deal with family traumas - from scandalous divorces to shocking deaths - in the full glare of the public eye. But somehow, their relationship has endured and provided a model of constancy to inspire all around them. This book is not only a vivid portrait of a hugely important marriage, it is a celebration of the power of love.